Horizons North offers clean, comfortable and affordable housekeeping cottages in a family friendly atmosphere. And now we offer Wi-Fi in all cabins so you can stay in touch with your friends and family while relaxing by a beautiful lake. Our Northern Ontario Fishing Resort offers you abundant Walleye/Pickerel, Bass and Northern Pike fishing on two secluded lakes. 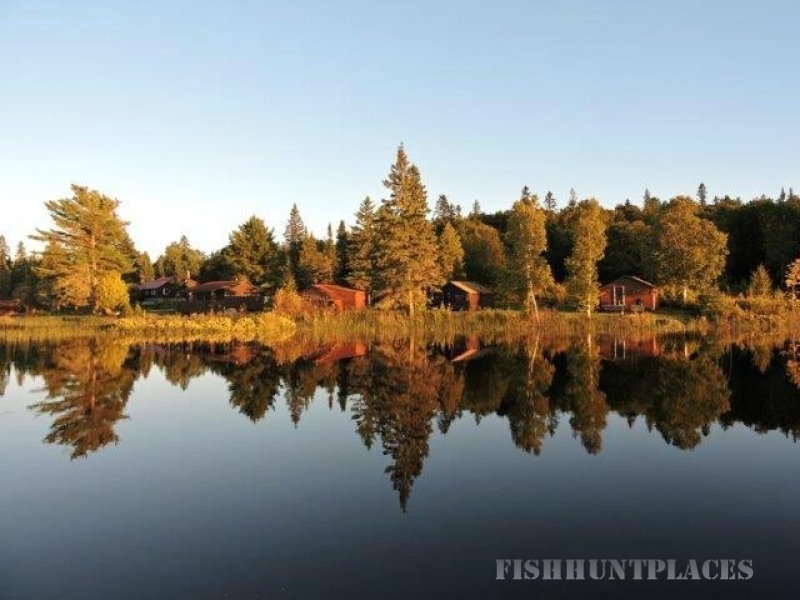 We also offer accommodation for the avid Moose, Bear and Small Game hunters. ATV and Hiking trails galore to explore when you’re not fishing! Horizons North sits next to two large natural lakes, Opee-Chee lake and Opee-Chee Bouys lake. With no public access and only two holiday homes on the lakes you can look forward to a quiet tranquil time while you fish the day away, and with such little competition you can all but guarantee a catch. Making Horizons North the place to fish in Marten River. Hunter’s will find that Marten River has a large amount of big and small game to choose from. Wildlife management units 40 and 41 extend over the area and hunters are more then welcome at Horizons North Fishing Resort. Guns are allowed on camp during the hunting season so long as they are properly stored and locked up.